Share the post "George Hotel in Lagos, Nigeria"
There is to be a new kid on the Nigerian block with the George Hotel set to open its welcoming arms and doors in the next month. Situated in Africa’s largest city, this new luxe option for travel to this powerhouse metropolis compliments the madness of a bustling population, exploding economy and bourgeoning cultural scene with a hospitality beacon. 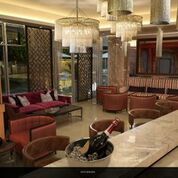 Conveniently located on Ikoyi Island, Lagos, the tranquil setting of the George will soft open in June of 2015 as an oasis for leisure, business and culinary travel to Nigeria. Having been described as a city of a racing economy and growing class of wealth, the David’s are striving to be the Goliath’s and the hospitality industry is accommodating to the important needs within the luxury travel industry for the alluring location. To ensure a comfortable stay on all levels the hotel has extensive leisure facilities throughout the hotel including a fitness center, gymnasium, cocktail bar as well as a pool deck. Airport transfers, 24 Hour in room dining, complimentary Wi-Fi throughout the hotel, beautifully landscaped gardens and high security are all included in addition to an attentive concierge service. A taste of the finest cuisine in Lagos is on offer at a fine-dining restaurant accommodating 36 together with a buffet restaurant seating up to 100. 24-hour in room dining services are also available with all 62 of the George’s rooms consisting of the highest quality linens, guest amenities and in-room conveniences and are divided into pilot, standard, superior and luxury rooms as well as two penthouse suites. 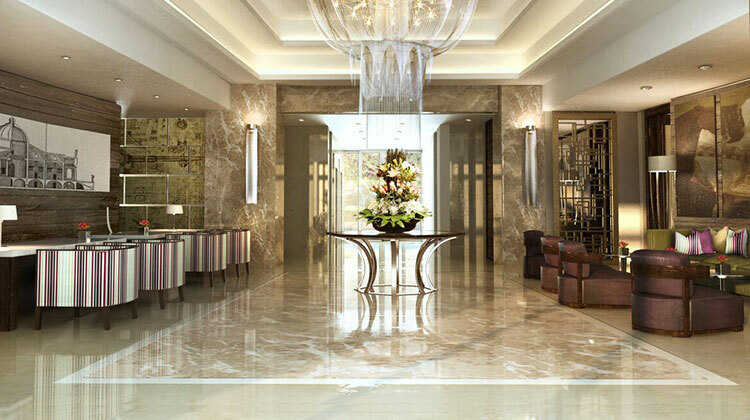 Seamlessly mixing business with pleasure, a contemporary and ultra-luxurious experience awaits business travelers, foreign representatives and government embassies with the highest standard of accommodation and five-star service. The George provides a number of meeting rooms and boardrooms, including an executive boardroom and a business center, all offering state of the art AV equipment. The George Hotel is dedicated to providing the best customer experience from excellent service, outstanding amenities to superb dining facilities all on a five-star, international level.